Let’s suppose you are surfing net and you happen to visit a page which has got a video and you happen to wish to watch it. Now the trouble is that it is QT format and requires the QT player to be able to watch it. First thing comes to your mind that lets install the QT player. Right? Well, okay. Let’s say you made the only right option available and you start with the installation. Now the question is would be downloading the QT player itself solves this? Yes? No. When you will start the installation it will install Apple Software Update tool as well. And the update tool will have “iTunes + QuickTime” selected by default and hence if you happen to update it, you will get iTunes as well. Not only this, QT will install the QT player, QT viewer. Well, that’s it. Now you can enjoy the video that you wished to watch. Great right? Somewhat annoying, but then at times you need to compromise, right? Wrong! 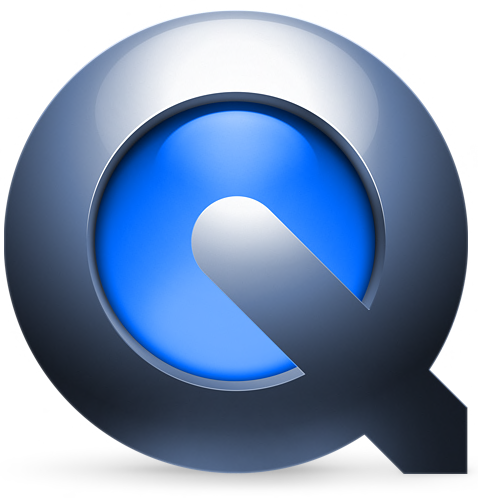 The solution to all the trouble is QuickTime Lite. It is a striped version of the above mention giant. It will provide you with the only required requirements without installing all the extras. It is more or less like a codec pack. It also behaves as a plugin for popular browsers like Chrome, Firefox, Netscape, etc. This package will let you enjoy the MOV and QuickTime formats over the internet. Since it is developed almost like a plugin package, hence it doesn’t have an interface, though it lets you enjoy offline QT format files over the Media Player Classic or Zoom Player. If do not have either of them, then you can go for QuickTime Alternative which has Media Player Classic as the part of installation pack. Since it has a very precise amount of components, hence it takes very little time to install and has a very easy step installation. It is designed as an alternative for QT and hence required Apple’s application support which it will install automatically if it is not there. 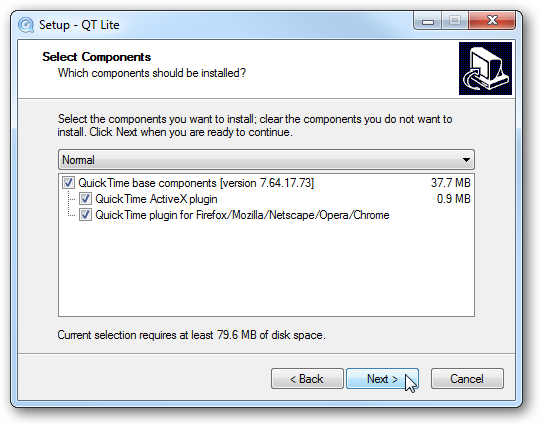 Also, it is recommended that before installing QT Lite you first delete all components of QT to avoid conflicts. If you have any QT components already install, QT Lite will ask you to remove it during installation. It’s a freeware and hence you don’t have to think much before downloading it. Also, it is not an adware hence you don’t have to think even a bit. At times it come bundled with media player classic and therefore if you don’t need it than be careful before downloading it from other sites. Takes less time, space and resource. Acts as plugins to both media player and browsers. QT Lite will not be providing an interface and hence if you are not having Media Player Classic or Zoom Player then you need install one of them or go for “QT Alternative”. Simply the best to get access to embedded QT content on the web. It saves you both time and resources, which is all you want. Posted by Shivam and has rated 98 / 100 by 30 users also labeled with: Windows Software.